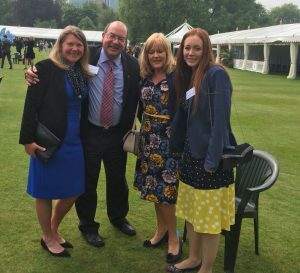 We are always proud of our girls and their outdoor learning achievements, and never more so than the recent trip to Buckingham Palace by our fantastic Golden Girls! 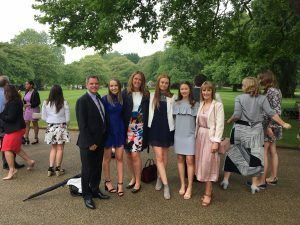 No fewer than 21 NGHS girls were eligible and invited to attend this year’s ceremony at Buckingham Palace on Thursday 24 May, and 18 were able to go along for the presentation of their Gold D of E awards along with Miss Lynn, our Head of Outdoor Learning. Jill Fraser, founder of charity ‘Kissing it better’ gave a truly inspirational talk about the difference that young people can make in society, in particular to our aging population with dementia and Alzheimer’s disease. 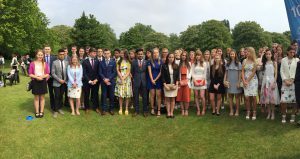 Following this moving talk, the attendees were congratulated by HRH The Duke of Cambridge, HRH Princess Beatrice of York and HRH The Earl of Wessex on the successful completion and achievement of their Gold D of E awards. 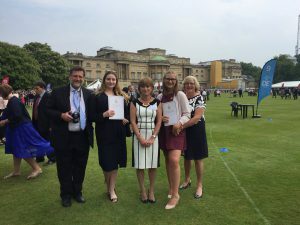 Set in the blazing heat in the grounds of the Palace, surrounded by brass bands playing and the Queen’s corgis being taken for a walk, it was a truly memorable day for all who were there and a moment for such family pride. 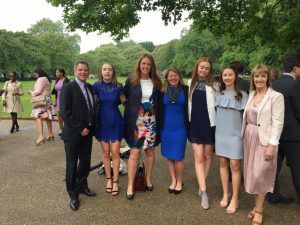 It was also a record for Nottingham Girls High School with such a large number of students receiving their Gold award at one time – truly extraordinary! The Duke of Edinburgh’s Award continues to go from strength to strength at NGHS, with over 120 pupils completing their expeditions this summer by foot and canoe. 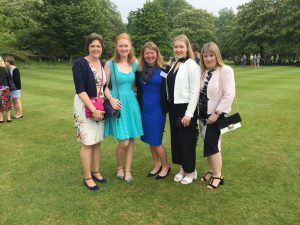 And alumnae who have left the school but started their D of E here are welcome to contact us with a view to completing their awards with us if they would like to and if they are eligible. Outdoor Learning is hugely popular and so beneficial to our girls, and we are so proud of all of them and delighted to see them succeed. Well done all of you.